Over the past four decades that I have been in the clock repair and restoration business, I have noticed that my backlog has increased to a level that I am uncomfortable with. When I tell a customer that the overhaul of their movement will take up to six months or the restoration of their family heirloom might take up to a year, I get questions and strange looks. Having their clock sitting on a shelf in my shop does me or the owner no good. I work seven days a week, except for a few hours where I have other commitments. I also have customers ask me “What am I going to do when you retire?”. My response has always been “What do you mean, I retired 43 years ago”. I enjoy what I do that much. The real problem is the lack of young (or any age) people getting into the clock and, even more so, the watch repair and restoration business. A local watchmaker that I referred all my customers’ watch work to is now suffering from Alzheimer’s. Another retired with glaucoma. As older clockmakers and watchmakers are disappearing from the work force, there is no one entering the field, which causes a backlog for those of us working. While on vacation in Florida, I was talking to a clock movement importer who told me he no longer has anyone ordering from the Orlando Florida area. Orlando has a population of 2.4 million people. A population that should support up to a dozen clockmakers and there is one, who no longer has the time to do house calls. So please be patient with the time it takes to do the work on your clock. I refuse, and I am sure you would not want me, to lower the quality of my work in order to put work out faster. To restore your clock into original working order will take time. Thank you for your patience and your business. This entry was posted in Common Questions on July 13, 2018 by Greg Davis. 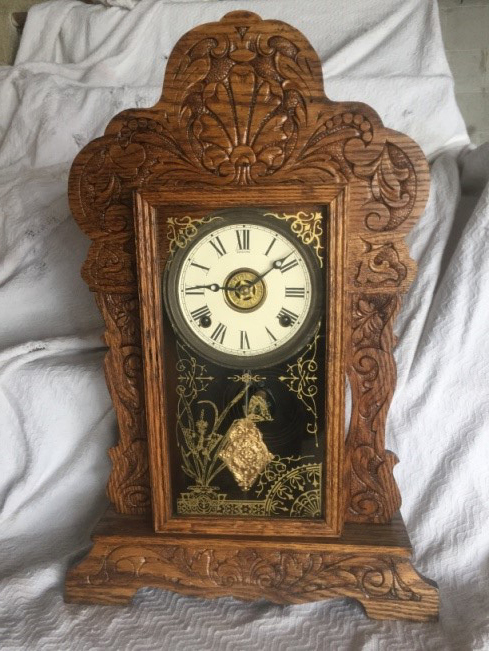 Several months ago, a customer asked if I could restore a clock he found in his Father’s farm house in central Illinois. He remembered the clock from his childhood. The case was in very bad shape. The wood was dry and the finish was cracked. The clock probably sat on a shelf in the kitchen, next to a wood or coal burning cook stove for years. The glass in the door was gone and the pendulum had been cut down both sides. This would have raised the center of gravity of the pendulum allowing the clock to run faster. The case was so dried out that it actually fell apart. The old finish was stripped off and some warping of the wood top was taken out. The case was finished, glued back together, new glass, dial, and a new pendulum was installed. The movement was overhauled and tested. Shown below are the before and after pictures of the clock. This entry was posted in History, Testimonials on March 1, 2016 by Greg Davis. My father (Boyd Davis) collected clocks all his life, a passion that I seem to have inherited. In 1971, my father and mother opened a clock retail store in Columbus , Ohio (The House of Clocks on Lane Ave). Since I was a junior in high school when the store opened, I’ve never been sure if the store was part of his love for clocks or set up as a second income for the family, or both. My father had a retired jeweler that did trade work for him. In November 1974, the retired jeweler brought in a box full of clock case and movement parts he had been storing in his attic. He gave it to my father saying “I don’t know exactly what this is, but I’m sure it’s American. I’m sure it’s something special and I want you to have it”. My father offered to buy the box for $50, which was quickly refused. Since the store was busy, the box was placed on a shelf in the back room. Just before Christmas, my father cleared a table in the back room, took the box down and proceeded to examined it, placing the pieces of the box into position on the table. The clock was totally apart, since all the glue joins had come apart, but it was all there. Much to my father’s surprise, he slowly laid out a complete J. C. Brown Acorn clock (case, movement, fusee mechanism and tablet). The clock was totally restored by father over the next several months. 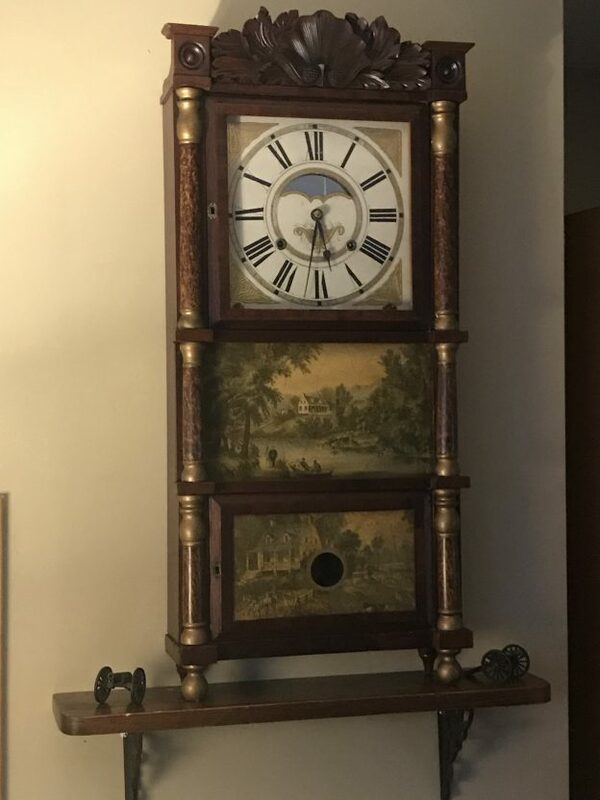 My father, being one of the most honest men I ever knew, gave the gentleman 3 new Colonial grandfather clocks of his choosing, as payment for the clock. One for each of his grown daughters for Christmas; however, he refused the fourth clock that my father offered to place in his home. The clock held a very prominent and prestigious place in my mother and father’s home for several years. It was the star of his collection. My father and mother divorced in 1980 after 27 years of marriage. The clock collection was sold, along with other possessions, to settle the divorce. 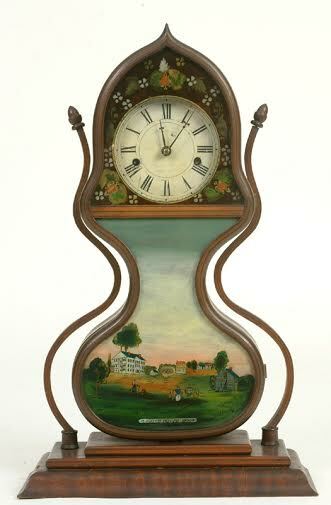 I often wonder who is now showing off this magnificent sample of American clock making history in their collection. I can only hope it is admired as much as my father admired it. This entry was posted in History, Press Release on January 15, 2016 by Greg Davis. In Eli Terry entered into a contract with 2 other men to manufacture 4000 clock movements with dials, hands, weights, and pendulums in a 4 year period. This in clock circles is known as the Porter Contract. In 1806 Terry bought a sawmill that used water power in Plymouth CT. He then hired laborers with specific abilities to produce the various pieces of the clocks, to an accuracy that made the parts interchangeable. One of the first in America to accomplish interchangeable mass produced parts for a product. The fact that the parts were made and assembled by skilled craftsmen, kept the cost down and allowed a much greater production volume, way more than 1 clockmaker could accomplish by himself. Thus was started, in this country, a new business of mass producing clocks, which brought the cost of a clock down to where the masses could afford them. Clocks were no longer for just the aristocrats. Apprenticing with Eli Terry at this time was Seth Thomas and Silas. Hoadley, who both went on to be noted American clockmakers. In my career of over 40 years, I have had the pleasure of restoring several of the now 210 year old all wood movements. This entry was posted in History on October 26, 2015 by Greg Davis. you know it is still ticking away. Thank you, we will always remember your kindness and perseverance when restoring our heirloom. This entry was posted in Testimonials on September 17, 2015 by Greg Davis. We wanted to tell you again how much we appreciate all you did to restore our calendar clock. It is so nice to have it back on the top of our bookcase once again and hear it strike with a deeper, more soothing sound. It is truly a family heirloom and your service will keep it in good condition for years to come. You are a true craftsman. This entry was posted in Testimonials on May 1, 2014 by Greg Davis. I have found history a fascinating subject most of my life. Not because of the events, but the people that make up history. The clock industry in the U.S. and Europe is full of such people. Through the history of man, there have been time pieces ticking away the seconds of the lives of millions of people. Just think, a clock made in 1880, during the big clock manufacturing boom in the U.S., has set in someone’s home through years of history. 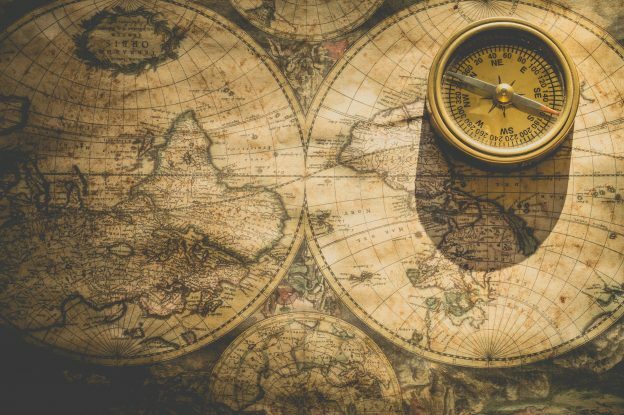 In 1880, James A. Garfield was president, the electric light bulb was invented by Thomas Edison, the first telephone was invented, there was no refrigeration, people traveled by horse and buggy or maybe by steam trains. There were no vaccinations for common diseases. The average lifespan was 40.5 years, if infancy was survived. Most clothing was made by hand of wool or cotton linen. 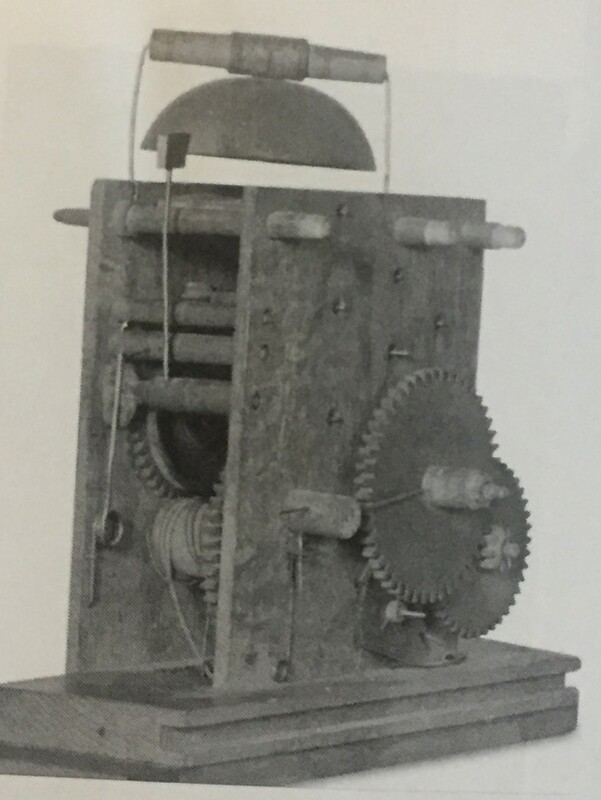 A clock manufactured in the 1880’s has been telling time through the assassinations of 3 presidents, the U.S. involvement in 9 wars, the invention and development of the internal combustion engine, automobiles, air travel, walking on the moon, deep space exploration, great advances in medicine, and the splitting of the atom. I once had an apprentice tell me, “What you do is boring! You do the same thing day after day.” He didn’t understand the joy of achievement of taking a clock that has run for decades through all types of family joys and sorrows, and bring it back to working condition to continue being the sentinel of time for a family. Several years ago, I was coming out of a house after servicing a grandfather clock for a family and saw a watchmaker acquaintance sitting in his drive way enjoying a sunny day. I walked over to talk for a minute. After a couple of minutes he stated that his neighbor was “a character”. My response to him was “Bill, we’re all characters in some way. That’s what makes life so interesting.” My wife, Jenny, and I have been in the clock service and repair business for 40 years now. I guess I am one of the few blessed people in this world who actually makes a living doing something I really enjoy doing. It has been my privilege to be allowed to see a glimpse into your family and lives. I have been part of the joy of a surprise grandfather clock to a spouse or retirement award for years of service to an organization. During the years of servicing these clocks through the decades, I have observed the birth of children, and then seen them graduate from college, or go into the service to defend our country, get married and have children. I have moved clocks, from where they have stood for decades, into condo’s, assisted living apartments, and Alzheimer lock down apartments, and eventually to a son or daughter’s home, as the clock continues to mark the time of an individual family. It has been my privilege to keep your clocks in operating order over the past 40 years. I look forward to continuing to service and repair you clocks in the future. This entry was posted in Press Release on April 21, 2014 by Greg Davis. People often complain of sleepless nights and say they heard the clock strike many times. The voice of the clock may not be a pleasant sound when one wants to be oblivious to it in sleep. Still, those voices may start thoughts, which will help calm restless minds. There used to be Grandfather’s clock, that tall and dignified sentinel of the stairway, which ticked out the minutes on its unhurried way. Its slow strike was a suggestion that life should not be taken too impatiently, that there is plenty of time for everything, and that man should live out his life with less hurry and scurry. The old kitchen clock in many homes, which had a quick and tingling strike, suggested an opposite point of view. As a denizen of the working kitchen, its fast strike seems to suggest that there is a lot of work to be done, and it was better to be up and at it. Then there is the light and silvery tone of many clocks, which seems to suggest that life is full of pleasant beauty, full of charm and music for those who look for that side of existence. Then there is the deep toned bell effect, which suggest the riches of experience, and how folk can find the deeper happiness by seeking the higher values of life. Some clocks, like some people, are always ahead of time. No lagging by the way for these fast and active tickers. And there are those that lag behind, and are always hurrying in vain to keep up with the rest. So clocks seem to be like people, grave and gay, fast and slow. Perhaps those who reflect how much they seem like human beings, and how they keep ticking away with tireless energy for a century, may forget their troubles and go to sleep. This entry was posted in Links on September 30, 2013 by Greg Davis. This entry was posted in Tutorials on July 19, 2013 by Greg Davis.